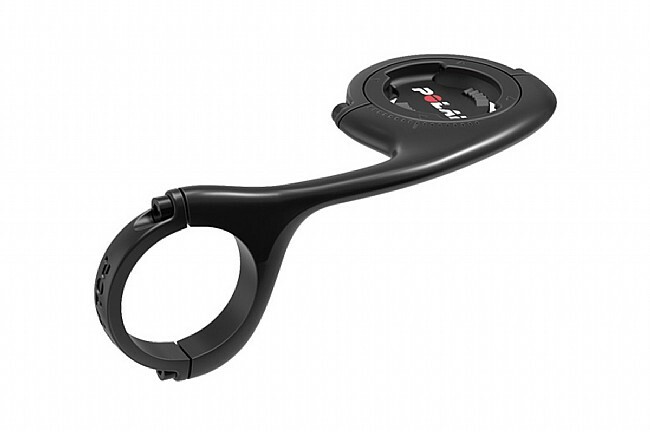 The Out Front Bike Mount (M450/V650) from Polar is an aerodynamic, slim, and adjustable mount that secures to 31.8mm handlebars to provide the best viewing angle and easy access to M450 and V650 Polar bike computers. The rubber bands that come with the computer don't really hold it in place very well on the handlebars. The front bike mount is very secure and having the computer extended from the handlebars is much better visually.